Greenpeace has been deregistered in India and has 30 days to shut down. They intend to challenge the deregistration in court. But their brand of eco-fascism (“we know best what is good for you”) is a luxury that India can ill afford. 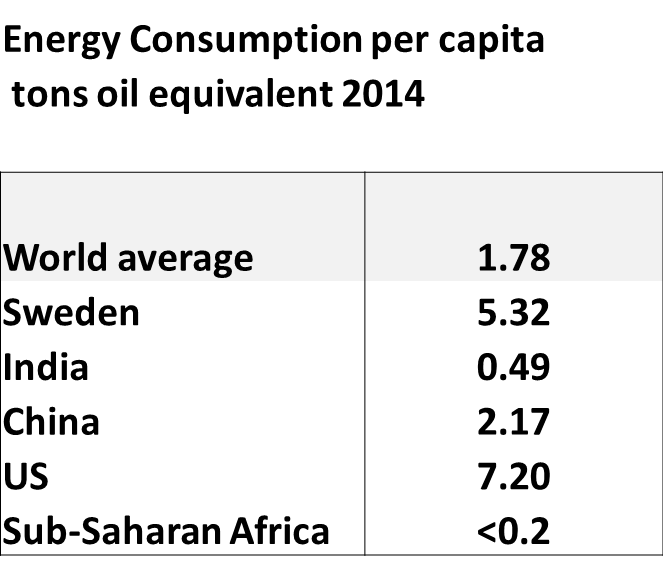 When per capita energy consumption in India is just one tenth of that in Europe, and one fifteenth of that in US, Greenpeace’s attempts to block coal and nuclear power in India is unconscionable. Greenpeace in India just reflects the views and values of its foreign membership. Most of this membership is from developed countries and represents the do-gooding, self-righteous attitudes of a comfortable, energy-guzzling middle class. In Europe, these members are often from the hard-left who, after the fall of communism, have found themselves politically homeless. They have become a political lobby group hiding under the cloak of being a welfare organisation. They not only believe they “know best what is good for others”, they also want to impose that on others. In the developing world, Greenpeace are as “colonialist” as the empire builders of the 19th century and try to impose their values and their solutions by legal and extra-legal means. In India this colonialist attitude showed up with their local “rajahs” acting as feudal lords believing they had the right of droit de seigneur. In nearly every developing country their campaigns are opposed to development projects. In India their efforts to show that solar energy could be an alternative to coal back-fired badly. They sponsored a solar pv installation at a village in Bihar but only ended up promoting coal power. The villagers now refer to coal power as “real power” and solar power as “fake power”. The day the power came was one of celebration. …. Then, the wealthy families plugged in energy-inefficient televisions and refrigerators. With the power suddenly facing heavy demand, the batteries drained within hours. The microgrid operators scrambled to fix the mess. The village electrification committee decided to restrict electricity supply to five hours at nighttime. Greenpeace put up posters telling people not to use energy-hungry appliances such as rice cookers, electric water heaters, irons, space heaters and air coolers. ….. One month after the rollout, Greenpeace invited Bihar’s former chief minister, Nitish Kumar, to inaugurate the solar village. ……. One week later, trucks rolled in and set up a 100-kW transformer in town, connecting Dharnai to the grid. ….. Power is now free for Kumar and his neighbors who are below the poverty line. Others pay 3 rupees per kilowatt-hour of electricity. As of July, villagers were getting electricity day and night, ……. Meanwhile, enrollment in the solar program has fallen to 120 households, down from 380 at the start ……..At present, solar power in Dharnai costs at least three times as much as grid power. It can support only expensive energy-efficient appliances, such as CFL bulbs. A CFL bulb in India costs 700 rupees ($10), while an incandescent bulb costs 10 rupees (15 cents). Now Greenpeace India has lost its registration, on the surface for violating financial regulations applying to NGO’s with foreign funding, but more fundamentally, for being anti-development and a threat to the economic security of the country. NDTV: India has cancelled Greenpeace International’s license to operate and gave the group 30 days to close down, citing financial fraud and falsification of data, …… Last year, the government withdrew permission to Greenpeace to receive foreign funding, saying the money was used to block industrial projects. Under the latest order issued by authorities in Tamil Nadu where Greenpeace is registered, the government said it had found that the organisation had violated the provisions of law by engaging in fraudulent dealings. ……. A government official confirmed that the closure order had been issued on Wednesday but did not elaborate. In recent months the federal government has toughened rules governing charities and cancelled the registration of nearly 9,000 groups for failing to declare details of overseas donations. In India, Greenpeace has blindly opposed almost every project concerned with coal mining, coal power plants, nuclear power plants, GMO crops, forest clearing, and even building of dams. They have opposed India’s tea exports in the name of supporting plantation workers. They have openly supported candidates from a particular political party (AAP). They have tried to influence elections. Agitation has been the name of their game and foreign support has been brought in to manage conflicts that they initiate. The government’s Intelligence Bureau (IB) has estimated that Greenpeace India’s activities depress growth by 2 -3%. Months before Tamil Nadu’s crackdown on Greenpeace, the Ministry of Home Affairs (MHA) in September had cancelled the Foreign Contribution Regulation Act (FCRA) licence of Greenpeace India. It was alleged that the NGO misused foreign funding for political activities which prejudicially affected the country’s public and economic interests. The Home Ministry Dossier on ‘Greenpeace Activities’ with Express said that NGO was found violating the FCRA by engaging in political activities to influence and lobby for the formulation of policies of its liking. “Not only Greenpeace activists are involved in agitation, they also invited foreign activists like Emma Rachel Tranquility Gibson (UK national) for handling conflict / team dynamics, prioritisation and difficult decisions and her given task was ‘Election Project’as mentioned in the terms of reference of her job,” the MHA dossier said ……..
An on-site inspection of the NGO’s accounts and records conducted on September 24 to September 27, 2014 found that Greenpeace first transferred foreign contribution received in FCRA designated bank account to FCRA utilisation account and from there to five other bank accounts without informing the authority concerned. The NGO also shifted its office and activities from Chennai to Bengaluru without approval /intimation of the Ministry. It claimed that Greenpeace was also involved in international negative campaign against India’s most popular tea brands to reduce India’s export by publicising questionable forensic tests in an undisclosed foreign lab.